Flooring : Vitrified Tiles of 600 X 600 (Soluble salt) in 2/3 BHK & 800 X 800 in 4BHK. Walls : Acrylic emulsion of pleasing shade of a reputed brand as per architect’s suggestions. Chaukhats : Folded steel section. Door Shutters : 35 mm moulded skin door/laminated flush door with night latch, magic eye & handle. Windows : Powder coated aluminum windows or UPVC framed window with 4mm thick clear float glass in Ph-1/2/3A & 5mm thick clear float glass in Ph-3B. Door Shutters : 35 mm moulded skin doors/ flush doors with mortice lock & lever handle. Flooring : CeramicTiles in 2/3 BHK & 800 x 800 vitrified tiles in 4 BHK. Walls : 600mm high ceramic tiles dado in Ph- 1/2/3A & 300 mm high ceramic tiles dado in Ph-3B above platform, acrylic emulsion of pleasing shade of a reputed brand as per architect’s suggestions. Windows : Powder coated aluminum windows or UPVC framed window with 4mm thick clear float glass in Ph-1/2/3A & 5mm thick clear float glass in Ph-3B.. Platform : Platform in black granite with stainless steel sink with drain board in 2/3 BHK & double bowl stainless steel drain board in 4 BHK. Provision of hot & cold water supply. Fitting & fixture : Provision for electrical chimney above platform, gas pipeline, water purifier point. Walls : Ceramic Tiles upto 2100mm height. Door Shutters : 35 mm skin doors /flush doors with mortice lock & lever handle. Windows : Powder coated aluminum windows or UPVC framed window with 4mm thick frosted/pinhead glass. Fitting & fixture : Wash basin of ROCA / Hindware or equivalent; wall mixer & basin mixer of Jaquar / Grohe or equivalent; other CP fittings of Jal / Continental / Prayag or equivalent; mirror, towel rod & health faucet. Towel rack only in master bathroom of 2/3BHK & in all bathrooms of 4 BHK except for staff toilet. Semi reccessed counter type wash basin in 2/3 BHK & under counter wash basin in 4 BHK. Walls : Acrylic emulsion of pleasing shade of a reputed brand as per architect's suggestions. Fittings : Convenient provision & distribution of light and power plugs. Wiring : All electrical wiring in concealed conduits with copper wires. 750 watts power backup in each apartment of 2/3 BHK & 1000 watts power backup in each apartment of 4 BHK. Complete backup in common areas. Points will be provided in drawing/dining room and in all bedrooms. Intercom will be provided through the authorized phone company or EPABX. Provision for a washing machine point will be provided with water inlet & outlet at suitable location. All external walls including roof terrace, open terrace, balcony will be cement sand plaster with spray texture/coating and /or emulsion paint finish. Reinforced cement concrete frame structure or load bearing masonary structure in accordance with applicable earthquake zone or BIS codes. Two gearless high speed automatic lifts in each block with generator backup. Specifications are indicative in nature and are subject to variations within the similar category and range of products. Applicant or any person shall not have any right to raise objection in this regard. Tiles/granite can have inherent colour, grain variations and may vary batch to batch. Please refer to the template of Flat Buyer’s Agreement (available on ashianahousing.com ) to know about company’s legal offering and its contractual obligations in respect of purchase of flats/units in the Project, including the specifications. 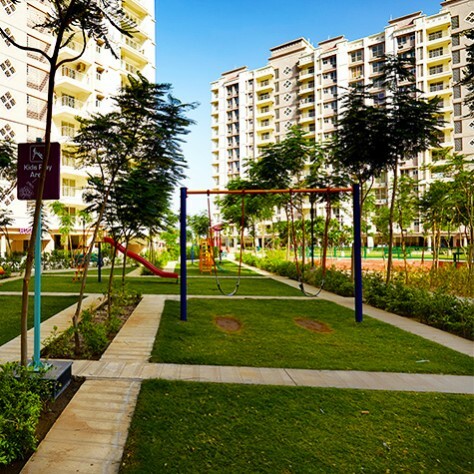 "“After experiencing the lifestyle at Ashiana Greenwood, we decided to buy our second home in Vrinda Gardens ”"
Thenk you for showing interest in Vrinda Gardens, if you require any help to do a site visit please contact Mr. Mahendra- 9587863899. Thanks for sharing such an useful article. After reading the article, I feel it your article will definitely help me a lot to buy apartment. Thank you for showing interest for Vrinda Gardens located in Jagatpura Jaipur, we have 2 BHK available in Rs 39 lacs to Rs 46 lacs. Currently project is occupied with more than 100 families are residing in. The facilities like club house, swimming pool, badminton court,departmental store ,kids play area, gymnasium and many more are operational for the residents. For site visit and other details our executive will contact you shortly. Required a flat on rent near jnu medical college and hospital (2bhk/3bhk) . priority furnished. Thank you for enquiring, our project Vrinda Gardens is located near JNU. For availability and rental our executive will contact you shortly. 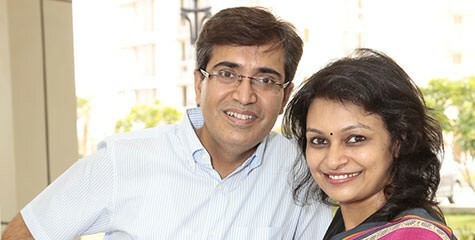 Residing at Vrinda Gardens. In new house recurring frequent M&R issues. There is no system of written complaint for maintaining record resulting in wastage of lot of time for same kind pf problems, few of the issues have not been resolved since first day of possession. Thank you for showing interest in Vrinda Gardens, you can plan a day for the site visit our executive will assist you throughout. For further help contact Mr. Ajeet- 9929029674. Our executive will get in touch with you shortly. 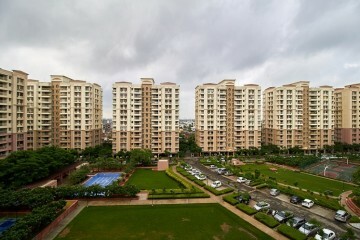 Kindly contact Mr. Sonu-9001995545,he will assist you further for resell your flat in Vrinda Gardens. Thank you for showing interest, at present we have options of 3 BHK ready to move in flats available in the price range of Rs.50 lacs - 72 lacs. Further our executive will contact you soon for project details and site visit. Thank you for showing interest, we do not have property in Mansarover. You can check out the rental options in our project Vrinda Gardens located in Jagatpura, currently more than 100 families are residing in the project. For rental related assistance contact Sonu-9001995545. Thank you for enquiring, we do not have project in Mansarover or Patel marg area. 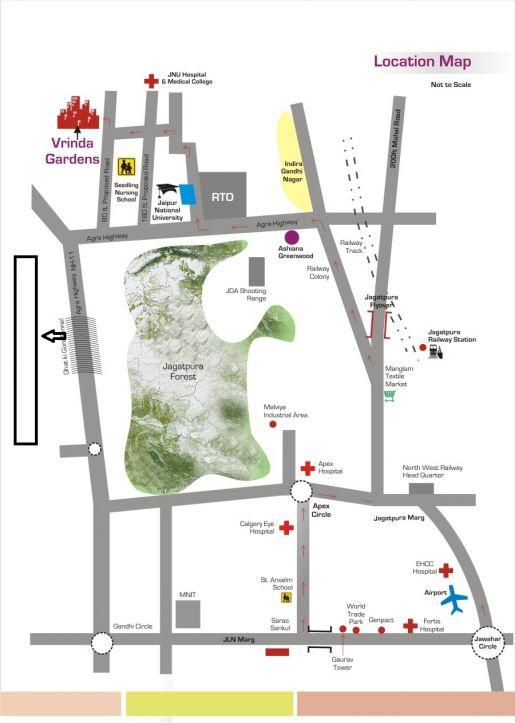 Thank you for showing interest, Vrinda Gardens is located in Jagatpura near JNU campus. Our executive will contact you soon for further assistance about the project and location. Vrinda Garden has very nice properties. It has great ambiance, A place that will welcome you each time you enter the complex. A place you will see your children growing up in a safe and healthy environment. This is the place where you can achieve healthy lifestyle for you and your family. Playful,secure and clean environment are the most striking features of all the Ashiana projects.And this is a one more example for the same.Great work Ashiana Group! I am resident of ashiana angan bhiwadi, ashiana fulfill the demands of today's generation's need. That's why I believe in ashiana projects and vrinda garden of Jaipur is one of the need of everyone's. Intend to buy 2/3 bhk ready to move or ready in next 3-4 months time. Indicate location & prices. Thank you for showing interest, we have ready to move flats available in Vrinda Gardens. 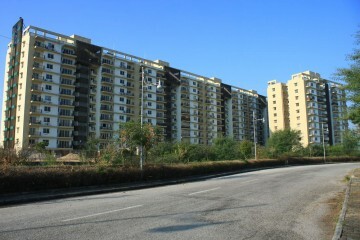 The project is located at jagatpura which is near Malviya nagar. The price range is Rs. 41 lacs - 76 lacs. For site visit and other assistance our sales personnel will get in touch with you. Can you please send me contact details of your sales manager Hemant , I seem to have missed it . Thank you for your comment. The contact no. of Mr. Hemant is 9116003766. Thank you for showing interest in Vrinda Gardens Jagatpura, it is a gated complex comprises 2/3 BHK apartments with club and sports facilities. Currently more than 50 families are residing in the complex.For pricing and other details our sale personnel will get in touch with You. Excellent ambient, perfect place to live with all amenities. Ashiana varinda garden is a fantastic society.All facilities are there and maintained too.Varinda garden is another masterpiece in Jaipur. It is nicely built with many many facilities. I believe in ashiana projects. Because i m living in one of it's project in bhiwadi Delhi NCR from 3 years. ashiana provides best facilities to their customers on reasonable price. Thank you for showing trust on Ashiana, our customer's satisfaction meant a lot to us. vrinda garden is a fantastic society in jaipur. that is a place their you will see your kids growing in safe and healthy environment. Ashiana housing is a trusted name in the world of housing societies. The project they keep coming up with itself speaks of the success of its previous projects. If it's Ashiana it is reliable. ashiana vrinda garden is a fantastic society in jaipur. It is centrally located with all facilities like club, sports, security etc. Kids have lots of option here. 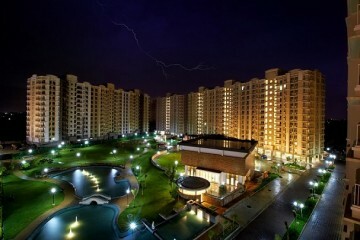 I am a proud residents of Ashiana Aangan Bhiwadi. I have gone through the details of Ashiana Vrinda Gardens Jaipur and also got feedback from my friends in Jaipur that Vrinda Garden is another awesome residential masterpiece by Ashiana. Thanks Team Ashiana. Fantastic living experience here.All facilities are available at their very best. One the mst lovable societies in Jaipur area. Vrinda garden is a nice or greenery society.it provided by Ashiana in Jaipur.my relatives are living there they always pleasure of Ashiana group.vrinda garden is well maintained society. I m living in aangan bhiwadi.When i went to jaipur at my uncle home , I decided to visit vrinda gardens to see the project in jaipur. That society was also very nice Full of greenery, open area, open Bedmintion cort etc ect. No doubt ashiana apne har project mai jaan daal deta hai. So Ashiana ka logo ; you r in safe hands ; Akdam sahi hai. Thank you for the appreciation you shared about Vrida Gardens located in Jagatpura, Jaipur. An excellent safe environment provided by our builder Ashiana . They are day by day closing in on to become the most reliable builder in India. I am interested in taking 2 bhk flat on rent in this project. Please help to send details. Thank you are showing interest in our project Vrinda Gardens at Jagatpura, Jaipur. 2bhk rental starts from 10,000 onwards. Our executive will call and give you more details. 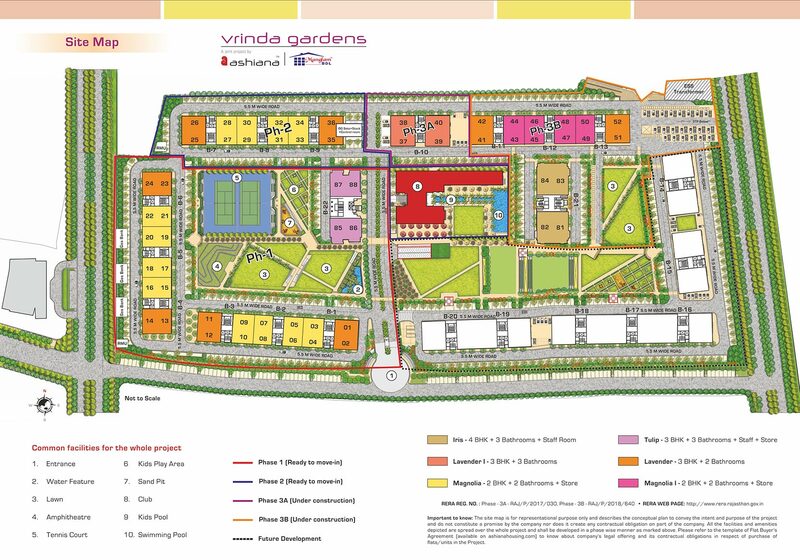 Thank you for showing interest in our project Vrinda Gardens at Jagatpura, Jaipur. 2bhk starts from 42 lacs onwards. Our executive will call and give you more details. I am a IT employee in Jaipur. I am interested in taking 2 BHK flat on rent, for my family, in this project at minimum budget. "Ashiana (Vrinda Garden)" The word having fragrance of Honesty. Vrinda garden having very Humble and dedicated team. But your Channel partner (HDFC Bank) having fake and fraud team.They are doing everything without intimating to client.I have very worst experience with them.Please do not suggest anybody regarding housing loan.Rest all up to u.